Bulk Oil Delivery - FREE Delivery on Bulk Orders - Direct To Your Tank! Fill your oil tank with our range of engine oils and lubricants with free next day delivery in Dublin and a 3 Day nationwide service. 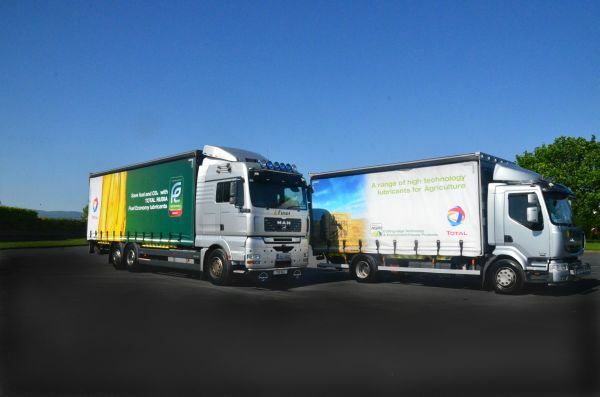 All lubricants are delivered in our own specially equipped delivery vehicles. Each truck has the latest in pumping and monitoring equipment on board ensuring the safest and exacting measurement. You will not be charged for one more litre than you received. What’s more, we do not charge extra for any delivery over 400 litres – Nationwide. No Fuel surcharges. No delivery costs. All our vehicles are also equipped with the latest vehicle tracking hardware, ensuring we know when and where your delivery is at all times and when it will arrive. All Finol drivers are highly trained in the use of the equipment. They are also are Safepass qualified for sites that require it. We have delivered lubricants to every type of premises throughout the country. Our vehicles have extra long hosing for those tanks in the difficult to reach places. If we cannot reach your tank, we can arrange for one of our trusted partners or distributors to make the delivery in a smaller van. 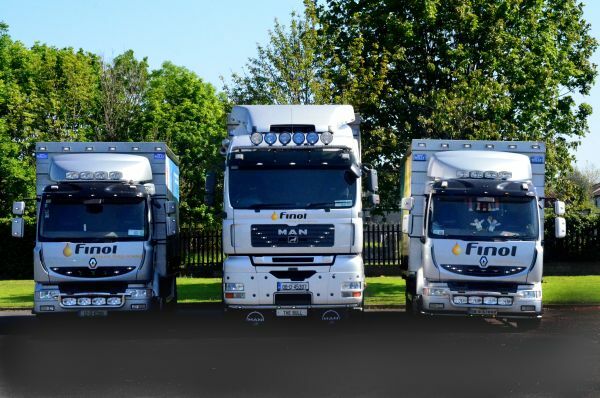 One of Finol’s aims is to provide the best customer service, this also extends to deliveries. We can arrange for our deliveries to be made outside regular working hours. Early morning deliveries to premises before they get busy are common place for our fleet. Contact us for more information or to request a oil quotation. See also below the images of our vehicles. We think they’re the best looking trucks in the country!